The new Permanent Representative of Nauru to the United Nations, Marlene Inemwin Moses, presented her credentials to UN Secretary-General Kofi Annan today. Prior to her current appointment, Ms. Moses was Nauru’s Deputy Permanent Representative to the United Nations, beginning in November 2003. During that time, she also served as Acting Chief Secretary, and Public Service Commissioner and Secretary to the Cabinet. Earlier, from 2000 to 2003, she was Permanent Secretary for Health and Medical Services. She also served as Permanent Secretary for Internal Affairs (1999-2000). Having joined the foreign service of her country in 1983 as a Foreign Affairs Officer, Ms. Moses served as Consul in Tokyo, Japan (1988-1990), as Consul-General in Auckland, New Zealand (1991-1995), and as Assistant Director in the Department of Foreign Affairs (1995-1996). She was also chairperson of the Lands Negotiation Committee, coordinator of the Economic Strategy Committee, and a member of the Nauru Rehabilitation Corporation - Land Use Planning Committee. Ms. Moses was educated at Canberra College of Advanced University and at MonashUniversity, in Melbourne, both in Australia. Born in Nauru in 1961, Ms. Moses is not married. The Republic of Nauru was admitted as the 187th member state of the United Nations in September 1999, and subsequently established its Permanent Mission in January 2000. On December 22, 1999, His Excellency Ambassador Vinci Niel Clodumar presented his Letter of Credence to Secretary-General Kofi Annan and became the first Permanent Representative of the Republic of Nauru to the United Nations. Ambassador Clodumar continues to represent Nauru at the United Nations today. 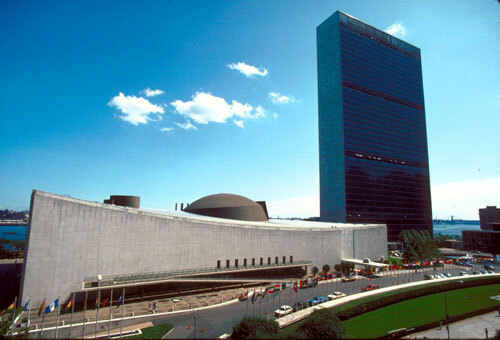 The involvement of the Republic of Nauru at the United Nations covers on important issues such as global warming, rising sea-levels, nuclear testing, Pacific aid, Development and Measures designed to combat international terrorism. Small as the country is, Nauru continues to actively support human rights and self-determination to its Pacific neighbours. On it second year of membership to the United Nations, Nauru became the Chairman of the Pacific Island Forum Group in New York.